Test your STR IQ! Take the QUIZ! 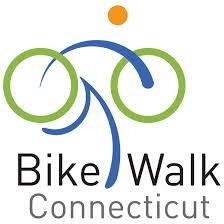 Connecticut’s roads are traveled by walkers, runners, and cyclists who are welcome and expected to use the roads for transportation, fitness, and recreation. With common courtesy, common sense, and respect for the rules to share the road, Connecticut’s roads can be safer for everyone. Please do your part whether you’re driving, cycling, walking, or running. Share the Road rules for pedestrians, cyclists, and drivers are summarized below. Please see the brochure and below for more details. Be aware. Watch for cars that are turning, at driveways, or backing up. Never assume a driver sees you or will stop or slow down at an intersection. Use sidewalks. No sidewalk? Walk facing traffic. Use crosswalks and obey crosswalk signals. No Crosswalk? Yield to Traffic. Be Alert. Don’t be distracted by devices that take your eyes and ears off the road, especially at intersections. Distracted walking is dangerous walking. Runners are Pedestrians Too. Like walkers, runners should run against traffic, cross at crosswalks whenever available, and obey crosswalk signals. ​Cyclists who follow the rules of the road are visible, predictable, safer, and earn respect from other road users. Bike Walk Connecticut urges all cyclists to be good ambassadors for cycling and always follow these rules to share the road in Connecticut. Follow the rules of the road. Obey stop signs and traffic signals. Ride on the right in the direction of traffic. Riding on sidewalks is prohibited in many Connecticut towns. Ride as far to the right as is safe. If there’s no bike lane, ride in the travel lane when necessary for your safety. The extreme right edge of the road isn’t always the safest place to ride. Riding in the travel lane makes it easier for drivers to see you and reduces the chance that a driver may pass too close. Be visible. Always ride with lights at night. Wear bright clothes during the day and reflective materials at night. For night riding, Connecticut requires a headlight visible from at least 500 feet and a red tail light visible from 600 feet. Be predictable. Ride in a straight, predictable manner. Don’t weave, swerve, or stop suddenly. Signal all turns. Use proper hand signals in advance to tell others where you are going. Stay out of the “door zone.” Ride 3-4 feet away from parked cars so you don’t get hit by an opening car door. Alert others that you’re approaching or passing. Allow plenty of space when passing others. Cyclists must yield to pedestrians in or at crosswalks. Don’t ride distracted. Distracted riding is dangerous riding. Wait to use your cellphone until you're off the road. Riding with headphones is unsafe if you’re distracted and can’t hear other road users. Wear a helmet correctly on every ride. Please slow down. Obey speed limits. A pedestrian hit by a car going 40 mph has an 85% chance of being killed. At 20 mph the risk is 5%. Drive at a speed that’s safe for all. Expect cyclists, walkers, runners and others on the road. Yield to pedestrians at or in any crosswalk. It’s been the law since 1978, but it’s not widely observed in Connecticut. Every intersection is a crosswalk, even if it’s not marked. “Yield” means slow down or stop. Come to a complete stop at stop signs and red lights. Be vigilant at intersections. Expect the unexpected around curves and over hills, where visibility is limited. Pass with care. Give cyclists at least 3 feet. It’s the law since 2008. Keep at least 3 feet of space between your vehicle and a cyclist. You may cross the center line to pass a cyclist if it’s safe. Mind the door zone. Check for approaching cyclists before opening your car door so you don’t hit them. 2014 Vulnerable User Law Mandates $1000 Fine. Connecticut requires a fine of up to $1000 on drivers who cause the death or serious injury of a pedestrian, cyclist or other vulnerable road user who used reasonable care.